The first daughter and senior White House adviser spoke at a panel Thursday. The president's daughter and senior adviser, Ivanka Trump, openly opposed her father’s rhetoric and policy Thursday, saying that the media is “not ... the enemy of the people” and that she is “vehemently against” family separation at the U.S.-Mexico border. She explained that she has “some sensitivity” on the topic because she has been the subject of incorrect or unfair press coverage. 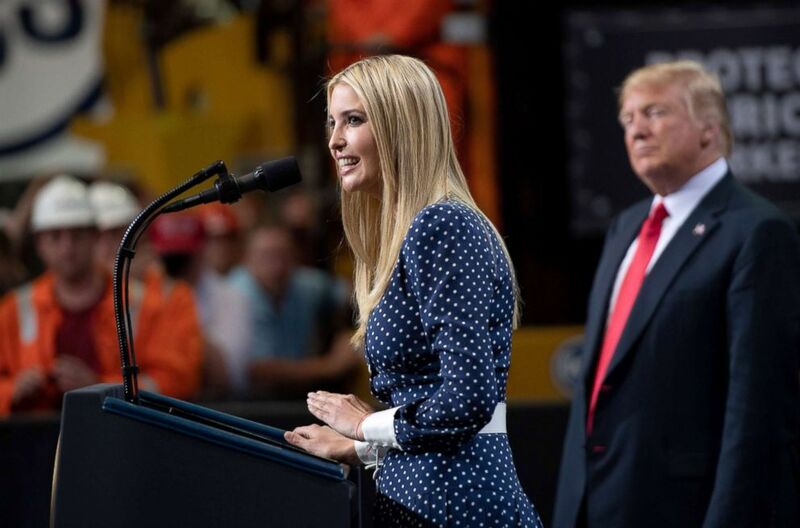 (Saul Loeb/AFP/Getty Images) White House Senior Adviser Ivanka Trump speaks alongside US President Donald Trump at US Steel's Granite City Works in Granite City, Illinois, July 26, 2018. Ivanka Trump also agreed with Allen’s suggestion that the separation of migrant families at the southern border was a “low point” for the White House. Family separation was a direct result of the Trump administration’s "zero tolerance" immigration policy. Ivanka Trump reportedly asked her father to terminate the policy as controversy swelled throughout the country. Ivanka revealed to Allen that she has struggled to find balance in her life since joining the White House. 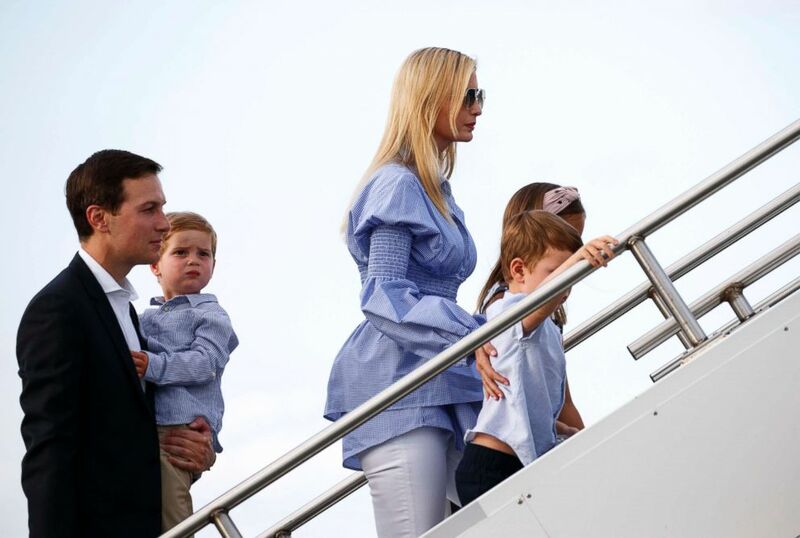 (Carolyn Kaster/AP) Jared Kushner, left, his wife Ivanka Trump, and their children, Theodore, second from left, Joseph, third from left, and Arabella, board Air Force One at Morristown Municipal Airport, in Morristown, N.J., July 29, 2018. "I used to be in New York, an entrepreneur, think about work-life balance," she said. "I moved here and I haven't exercised in like a year and it's total chaos." Trump discussed new personal habits that she has recently cultivated to improve herself. She puts small pieces of paper, which feature quick self-care activities, in a bowl to choose from and complete. The activities include doing “20 squats,” listening to music, and meditating, she said. ABC News’ Alex Mallin contributed to this report.